between 20 customers per month and 20 000 customers per month. importantly, grow with the digital revolution. 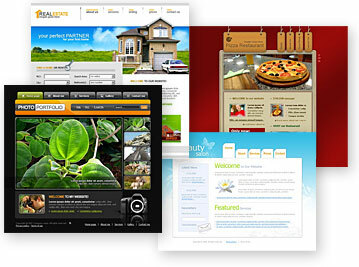 mysitespace offers a wide range of design solutions at affordable rates. Choose from 3000+ HTML and Flash-based templates. SEO and ecommerce design services. HTML designs starting from $499 or $50 for 12 months. Easy-to-use drag n’ drop design wizard. Choose from hundreds of professional templates. Add your own images or select from our 30,000+ image gallery. In today’s competitive market having a website is an essential business tool. A website allows 24/7 communication not only with your loyal customers but with potential customers, associates, and business suppliers. This 24-hour communication medium helps increase your customer base and reach new audiences by keeping your communication message current. Customers expect you to have a website. Businesses that don’t have a website may be deemed out of touch with today’s market and discarded as uncompetitive or unprofessional. A website provides product and service information 24/7 and increases productivity. Being online is like having your brochure available to your customers at any time of the day. It’s like hiring an around-the-clock sales person for less than a dollar a day. A website increases sales and saves you costs on hardware, network and development resources. It can help you increase sales and break through geographical barriers and become globally accessible. A website enhances customer support, which in turn reduces call volumes. Communications to customers can be quicker and easier to respond through a website or email, which decreases explanatory phone calls. A website enhances credibility, branding and boosts your business presence. Customer’s searching for information online is an increasing trend, and being online only reinforces your company’s branding. A well developed and designed website can add credibility to any business. A website offers you the opportunity to inform potential customers what you are about and why you deserve their trust and confidence.